I am often asked about international travel nursing. The truth is, for those of us in the United States, the best travel nursing jobs are right here in the United States. This is where the industry as we know it was born. This is where you get benefits, housing, travel allowances and above market hourly rates. What about wanting to go to Italy? Or France? Or Spain? OrAsia? OK, you can do it and here is how. For the unitiated travel nursing is almost always broken down into 13 week assignments (a fourth of the year). At the end of the 13 weeks you might very well have the option to renew for another 13 weeks and stay where you are. You may also decide you want to take an assignment in a totally different location. Here is an idea that will get you to Europe (or anywhere else you may want to go). Take about three travel nursing assignments in a row. That takes nine months. 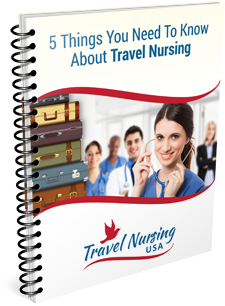 Your housing expenses are paid for you while on these travel nurse jobs so it should be a perfect opportunity to set aside money for your dream trip. Remember, you are not paying for housing. Let’s say you decide to set aside $500 a month. At the end of 9 months you have $4500 to spend on your trip. Here is the beauty of it, you can take your vacation as long as you want and can afford to. Your vacation is not for a week or two weeks. It is for as long as you want! After you finish your third assignment tell your agency you are taking a break and have them set up your next travel nursing job for a month out…or whatever. And before you say that you cannot save $500 a month tell me what you are paying for rent in your current situation. You won’t have that expense in your new situation. Get creative. You can take any kind of trip you would like. I do it all of the time. I am not blowing smoke, I am on one of those trips right now! Read about it here. I am still not getting information on how to get international assignments? What agencies work with international traveling? I really don’t know, Yolanda. As I have said in previous posts, to my knowledge international travel nursing does not exist as we know it (by that I mean travel expenses, housing, full benefites, etc). I have heard tell of jobs sort of like travel nursing in Australia and Ireland but I can’t tell you much about it.